A couple of weeks ago, I had a chat with Sean Cranbury, who seems to be involved with almost everything related to books in Vancouver. He has a podcast called Books on the Radio, and has been collaborating with the Canadian book blog 49th Shelf to create a podcast called The Interruption. In the interview, we talked about how Make It Mighty Ugly came to be, about the weekend when I pulled my hair out while writing it, and about the book tour in October. 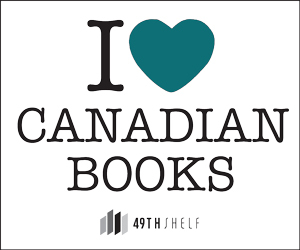 Listen to the interview and reading over at 49th Shelf! Kim Werker runs Mighty Ugly. She's a writer and freelance editor whose latest book, Make It Mighty Ugly, is coming in the fall of 2014. Kim tries to make something – anything – every day. Many of those things are awful; some are not. Learn more about her work, teaching schedule and ragtag adventures at kimwerker.com. Sent every Friday, the Weekly Digest is a letter to you about creative life and how to have more fun making stuff. One time, a person told me she looks forward to it every week.